The wrestling world has lost not only a legendary figure, but arguably the greatest wrestling manager of all time in Bobby “The Brain” Heenan who has passed away at the age of 73. For anyone that was a wrestling fan in the 80s or 90s, you definitely know how big of a role Bobby Heenan played in numerous historic events and eras over the years. 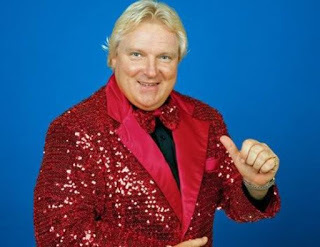 While Heenan began his career in the late 60s and was an established regional star by the 70s, Heenan became a household name in the 80s when he made the jump to WWE (then WWF) in 1984. Heenan immediately began a rivalry with Hulk Hogan by managing memorable Hogan opponents like Big John Studd, King Kong Bundy, Paul Orndorff, and of course Andre the Giant. Referring to “The Brain” as “The Weasel” was a staple if you were a fan in that era. The most memorable point in the Hogan/Heenan feud was of course Heenan managing Andre the Giant in the legendary match with Hogan at WrestleMania 3 and the story that lead up to the match. Heenan seemed to finally get one up on Hogan by getting his best friend and biggest challenge to date to turn on him to set up the match. While Andre failed to win the title at WrestleMania 3, it set Heenan apart when it came to wrestling manager. Aside from managing, Heenan’s wit and comedic talent made him one of the most memorable commentators and hosts of all time. His interactions with Gene Okerlund, Vince McMahon, and of course Gorilla Monsoon are really showed the spectrum of Heenan’s talents. By the time Bobby left WWE in 1993, he had provided so many years of entertainment both at ringside, at the commentary table, and even as an in-ring competitor from time to time. In 1994, Heenan made the jump to WCW as a commentator and remained a regular on WCW TV throughout the “Monday Night Wars,” even during the time his arch rival Hulk Hogan turned and formed the nWo which made for many memorable moments with Heenan on commentary. Bobby Heenan returned to WWE at WrestleMania 17 to join Gene Okerlund at the commentary table for the “Gimmick Battle Royal” and took his rightful place in the WWE Hall of Fame just a few years later. Bobby has been battling cancer and its effects for the past 15 years, yet still managed to make appearances at wrestling conventions up to just a few months ago. R.I.P. to “The Brain” – there will never be another.